Remember: If you are using iOS10 it shows iCloud Drive App on iPhone or iPad. 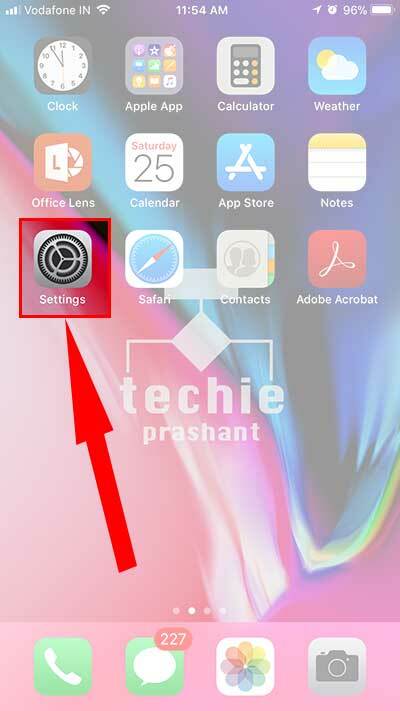 If you are using iOS11 it shows Files App on your iPhone or iPad. 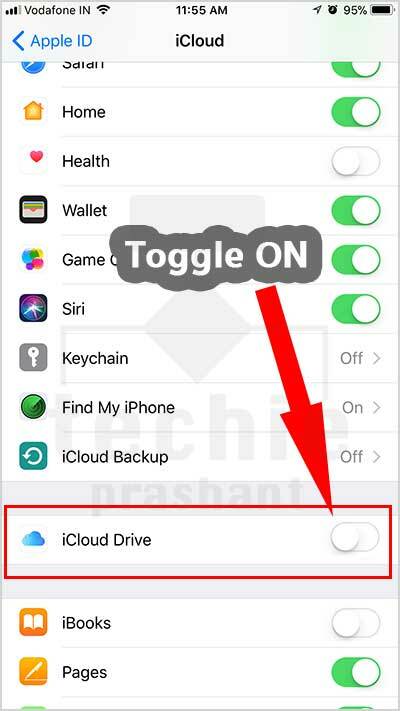 Important: First you have to configure Apple Id within your iPhone, then follow this tutorial to enable before enable the iCloud Drive. 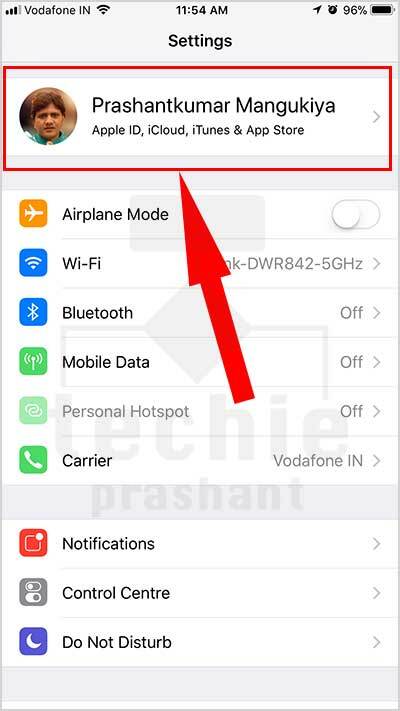 – You have to configure apple id then it shows section as shown in image. – It wil ebable iCloud drive on your iPhone/iPad. #4) Now iCloud Drive shows on your device. 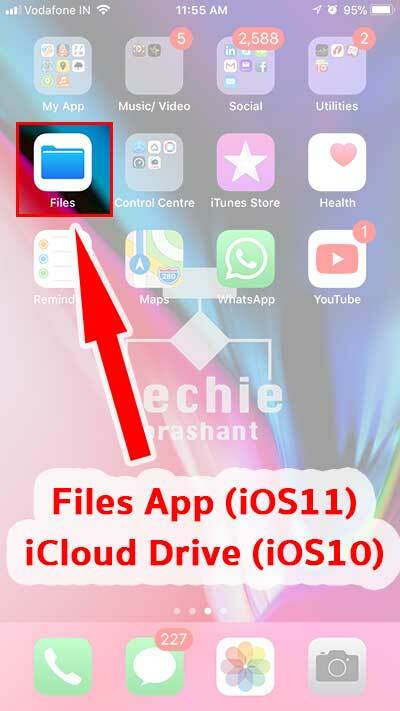 – If you are using iOS11, it shows “Files” App. 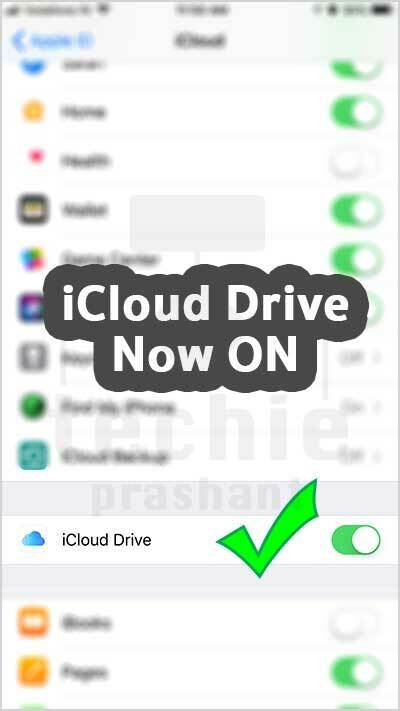 Thats all, now iCloud Drive or Files application shows on your device, you can upload photos/videos/Doc to iCloud drive easily, please wait for next article how to use File App or iCloud that suppose to publish soon.